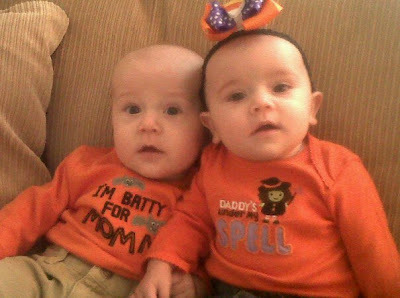 The cutest twins EVER, in the cutest matching Halloween costumes EVER, wishing you a Happy Halloween! You can't really tell in the first picture, but these little cuties are a boy and a girl. Rich is on the left and Kelsi on the right. They are sitting in opposite order in the top pic. I think we are all familiar with CSN Stores by now. I mean, they have countless items ranging from sofas to shoes! So I am beyond thrilled to do a CSN review. What should I get? 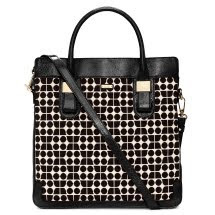 A laptop case? Maybe wall art? Heck, I may even pick up a bar stool, or two to go with my stooless bar hehe! And now for the announcement you are all waiting for, congrats to Tasha of The Hot Spot for winning the FACE Stockholm lipstick giveaway! Thanks to all who entered. The last two weeks were up and down for me. I get really bad headaches and sometimes they are pretty debilitating. Two weeks ago I had a severe headache that lasted from Friday night through the week and finally died down a bit over a week later on Monday. That's a total of 11 days in agony. When I say that I had a headache the whole time, I'm not being dramatic. I literally spent every waking moment with throbbing pain. I missed days of work, took several medications (one of which was a "needless shot" that I had to administer myself and it hurt! ), and finally after a full week I went to urgent care and was given a shot of diluadid which is stronger than morphine. The shot made me dizzy but didn't even knock me out, or take away my pain. My final orders were to go to the ER for a CT scan...which I haven't done yet. On a brighter note, the sweet Fashion Daydreams suggested that I try some Ben & Jerry's Half Baked to make myself feel better. Let me just say that I am not a huge ice cream person; however, it's so good! Check out the ingredients in Half Baked: chocolate & vanilla ice cream mixed with fudge brownies & gobs of chocolate chip cookie dough. Yup! Also bringing me joy - cheap, pretty nail polish! I grabbed two bottles of polish for $3 from Walgreens. It was a steal. Here's one of the shades I selected. It's called "What's Your Name" by a brand called Sinful Colors. You can kind of tell in these pictures, the polish is black with subtle dark teal glitter. So far it hasn't chipped! Lastly, check out this little cutie! Her name is Butters and I am dog sitting while her mommy is away at work. She may have puked on my bed all over my comforter...and several other times yesterday...but how can you get mad at anything as adorable as her? And look how tough she looks when she yawns! Grrr! Who is ready for a giveaway? 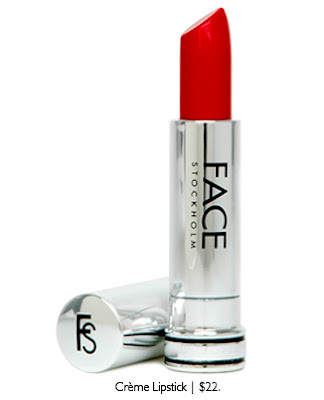 Up for grabs - a FACE Stockholm Seduction Lipstick! 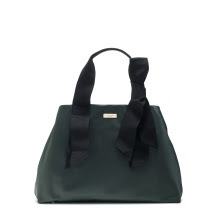 Part of the line's Autumn 2010 collection, this is a great shade for fall and winter. Wear this red hue with your holiday party attire for that extra pop of sassy perfection. Here's a little background about FACE Stockholm. 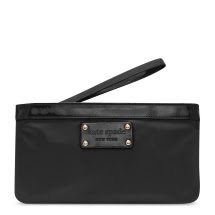 A Swedish company that has been in business for 25 years, they have expanded from Sweden to SOHO and beyond, with products sold at 40 locations worldwide. FACE Stockholm's ideal: "natural, trend-forward, simple, clean, gorgeous and fun!" The actual lipstick that I am giving away is darker than the one pictured above. I'd say it's a shade between red and cranberry. Really pretty! To be entered to win, simply leave a comment. If you do not have a blog, be sure to leave your email address so I can contact you if you're the selected winner. That's a total of four entries. Giveaway closes this Friday, October 29 at noon PST. 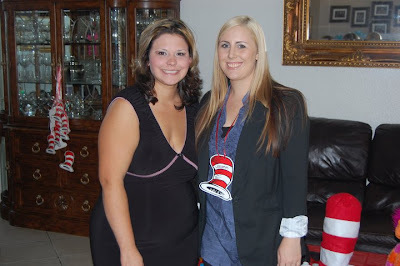 Last weekend I had the pleasure of attending the baby shower of my Delta Zeta sorority sister, Jenni. We may be a few years out of college but there are a core group of girls that I am so lucky to have met and still have in my life. Along with Jenni is one of my best friends, Susie, who put on the shower. Susie, who was my college roommate in the CSUF DZ house, did an AH-mazing job with the shower. She transformed her home into a Dr. Seuss wonderland! 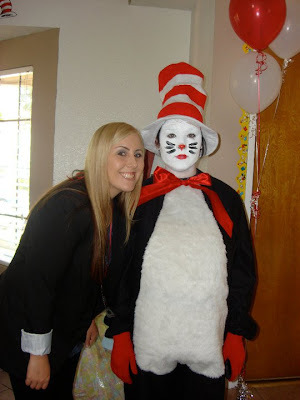 From real life red fish, blue fish, to the green deviled eggs, to a live Cat in the Hat, the theme was present everywhere. Hands down the best baby shower I have ever attended. 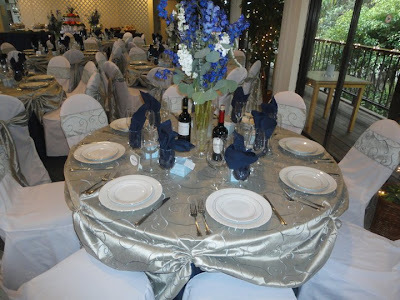 Everyone in attendance was blown away by the decor and attention to detail. My favorite part was all of the games we played. I am so competitive and I love winning. But who doesn't? 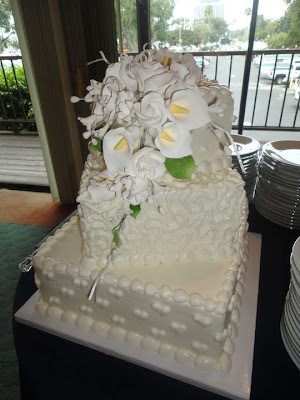 Our hostess recently started making cakes and she does a great job. Her creativity excels above and beyond. My photo doesn't do justice to the cake she made for the shower. It was three tiers, all with their own flavors. And atop that cake? The Cat in the Hat, of course! Pretty great for someone who is new to cake making. I wouldn't be surprised if one day she goes into cake making professionally. I was trying to convince her to start planning parties! 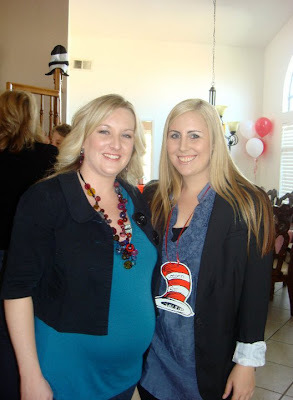 If you are in need of a theme, I'd say a Dr. Seuss baby shower is the way to go. I Got My Snook On! Last weekend was a blast. I attended my college sorority sister's baby shower (more to come later), went to a Halloween party, and had some delish sushi with friends. This year for Halloween I wanted to go with a humorous costume so I searched high and low for the perfect wig...to be...Snooki! Haha I decided back in March that I wanted to be the Jersey Shore guidette, unfortunately, I didn't realize that everyone else was thinking the same thing. Hence visiting 10 different stores to perfect my look. Overall I think it came together pretty well. Despite the fact that people thought I was Elvira...really?! Not even close! I think the one billion layers of bronzer worked well for the skin tone. It was the perfect over dramatic tan. The nylons need to be a bit darker, though. I'll note that for the next two costume parties I am attending. Now, onto the sushi! My friends and I visited RA for happy hour and I was really impressed. Great prices, food, and atmosphere. An all around good time! Here is what we had, from top to bottom, Viva Las Vegas Roll, "RA"ckin' Shrimp, and calamari tempura. If you're looking for a great sushi joint, check out RA. I noticed on their site that there are several locations from San Diego to Baltimore. If you can find a RA in your area, it's worth stopping in. Do You Like Scary Movies? A haunted hayride, Knott's Scary Farm, what's next on my list of creepy to-dos? Horror flicks! A few bloggin' buds have posted their favorite Halloween/scary movies so I am going to play along and steal the idea. As you can see I am a sucker for Stephen King and Kevin Williamson. 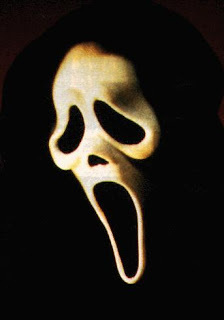 Who is psyched for Scream 4 to come out?! I sure am! And as far as Stephen King, aka The King of Horror, Storm of the Century is AMAZING. It was a made for TV movie that isn't as popular as most of his other works but in my opinion it's his best work, that I am aware of at least. This blows away The Shining and Carrie for me. If you can find it at your local movie store, I highly recommend it. I know it's available on Netflix because i just added it to the top of my queue. ...And I was just sidetracked for a good 30 minutes adding horror films to my queue. I love scary movies but hate seeing blood and gore. I literally can't handle when someone gets punched in a movie. Freaks me out. Doesn't make much sense that I like thrillers does it? I guess it's the suspense. Speaking of suspense, I love this time of year becuase I can set my ringtone to the theme song of Halloween! Anyways, what are your favorite scary movies? I know I missed a bunch. Please share though. I'd love to discover some new ones. 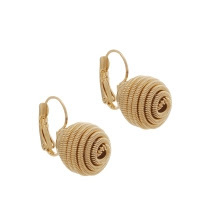 Free shipping on all orders online! -The world's first Halloween theme park event. -The largest event in the amusement park industry. -The original inspiration for hundreds of "copycat" theme park Halloween events worldwide. The site also explains Knott's Scary Farm as, "the original, in-your-face LIVE Halloween experience - a 160-acre living horror movie filled with 13 chilling mazes, 7 hair-raising shows, 3 horrific scare zones and 1,000 monsters roaming for their next victim." Let me break it down for you...amazing monster costumes, lots of fog, creepy creatures around every corner, mazes that are filled with bloodcurdling screams, and lots of people running through the park trying to escape the horrifying characters! Sound perfect? Well it is! Aside from the chilling clowns roaming the park, there was a pretty real scare that took place. A Knott's rollercoasters crash! Our group had split in two; a few of us heading into a maze and the others headed to Pony Express - the ride that crashed. Luckily they decided to skip the ride. Thank goodness because they probably would have been on it when it one of the carts collided into another. Despite the several helicopters flashing their spotlights on the rollercoaster for hours, luckily nobody sustained any major injuries. The only thing missing was my Halloween Haunt partner, Stephanie, of Thoughts From Cali, who didn't get to join me. We usually go every year. 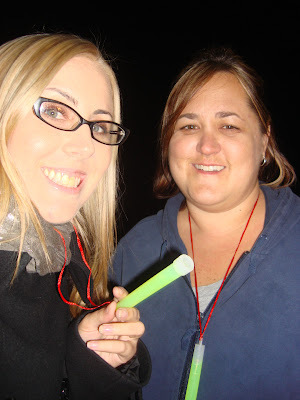 In fact, two years ago I blogged about one of our Knott's Scary Farm trips. While I had a pretty great time with some of my other friends, I definitely missed Steph! Next year we will resume our tradition again, though. Has anyone else been to Knott's Scary Farm? If so, what is your favorite part? Mine is the mazes! Pick a Los Angeles neighborhood. Pick the type of cuisine you'd like. Pick the $ level (lunches $16 -$28 and dinners $26-$44). dineLA is a great opportunity to try new restaurants, getting three-course meals for a reduced price. Last dineLA I ate at three restaurants, one of which was Boxwood Cafe by Gordon Ramsay. I shelled out $44 for that meal and wasn't that impressed, unfortunately. And actually, as I type this I am watching Hell's Kitchen. With all of the risotto that Chef serves, I had expected his restaurant's to be superb. Not so much. It was just OK. This time around I wanted to try a $ lunch option to save some dough so Angeli Caffe was today's location of choice. dineLA is designed in a way that you have three options to choose from for your three-course meal. Angeli Caffe's lunch menu sounded delish, plus I love dining on Melrose Ave! *Price excludes alcohol, tax and gratuity. My meal consisted of the calamari croquettes, ricotta gnocchi served with melted butter and parmesan, and the brownie. I had the pleasure of meeting another blogger, Social B, and she ordered the insalata forte, ricotta gnocchi served with melted butter and parmesan, and the tirami su (which she shared with me :). All in all the food was pretty good. I'd give it six forks out of 10! My biggest complaint, it took forever to get out of there. I was on my lunch break and ended up being there for nearly two hours. They weren't very busy so I am not sure what the hold up was. All of the items were tasty enough, but none of the courses blew me away. With the hundreds of restaurants in Los Angeles, I am not sure I'd pick Angeli Caffe again. This season may be my last dineLA, though. While prices are reduced and it is a great way to try new foods, it's still a bit expensive. When I really think about it, I'm spending more money in the end. I normally wouldn't order an app and dessert. So in actuality, I'm probably spending anywhere from $10 to $20 on the extra courses. And, out of the five restaurants I've tried my experience has been 1 good, 3 OK, 1 bad. I am, however, looking at the dinner menu for POP Champagne & Dessert Bar in Pasadena. I love me some truffle mac n' cheese and it's on the menu. If I go to one last dineLA meal, I'll be sure to recap! Come Out, Come Out...Wherever You Are! Last weekend my friend Stephanie, of Thoughts from Cali, and I headed up to Oak Glen, Los Rios Rancho specifically. The reason for our climb up into the mountains about two hours east of Los Angeles? The first annual Haunted Farm! You see, I am a sucker for anything scary. Stories, movies, haunted locations, I can't get enough. 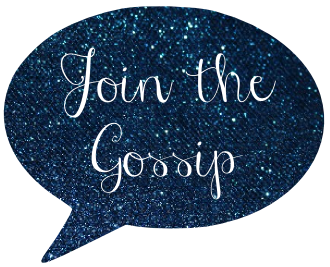 So when Stephanie came across this brand new event, I was in! Even apples look creepy at night! As we headed up the mountain, far past the city, way out where the street lights no longer lit our surroundings, we were giddy with that excited fear that comes with the unknown. What was waiting for us at Los Rios Rancho was one of those nights that chills your blood, gets your heart racing, and makes you scream! Since it was the first night ever of the Haunted Farm, there were only a few people present - a factor that contributed to our eerie experience. When I say it was dark up there...I mean dark. The moon and the glow sticks they gave us were the only sources of illumination. The bright white circle is not the moon. Is it a ghost orb?! Once we boarded the hay ride we were told a spooky story about the land and it's bloody past. Of course, this is where our heart started racing. 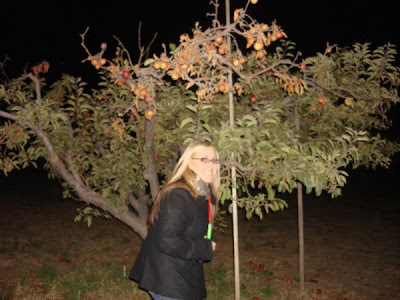 We were surrounded by trees and apple orchards, and the tractor had no headlights. Just light enough that we could make out the trees but dark enough that our imaginations turned those trees into ghoulish figures. As part of the tour, we were instructed to exit the hay ride and walk through the corn field to get back down the hill. Yikes! "Dead people" dressed as scarecrows kept popping up around every turn. 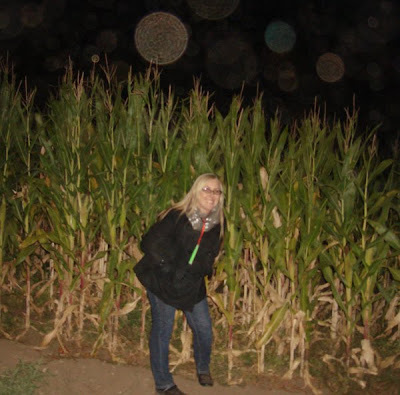 Remember, we only had use of the moonlight and glow sticks to find our way out the cornfield. So basically, we could hear someone - or something - making it's way toward us but we weren't quite sure where it was going to pop out from. Needless to say there was a lot of screaming and running by the small bunch of us. Come to find out, a few people on the tour were actually part of Los Rios Rancho. 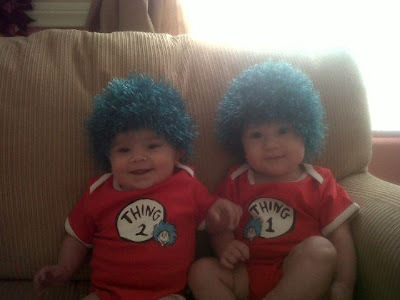 And if they weren't they were definitely snatched up by scarecrows and never returned! Literally snatched. These people went flying into the maze of corn!! I don't know how they didn't get hurt...it was that violent. I must say, it was great seeing my pal, Stephanie, scared hehe! I am always the one screaming at Knott's Scary Farm (a local amusement park that transforms for Halloween, I'll blog about my recent trip soon :) so it was thrilling for me to see her terrified! I really hope this Haunted Farm gains popularity because it deserves to last for years and years to come! If you live in Southern California and would like to partake in the thrill of the Haunted Farm, be sure to visit their site for info. It only costs $10 and provides about 20 minutes of frightening fun! I'm sure I'll have another post about Los Rios Rancho as I'll be back at the end of the month to pick apples and consume apple goodies during the day. Can't wait to see the changing colors up there, away from the city! Last weekend I had the pleasure of attending the wedding of my great friend, Stephanie. We met through work and became good friends. She's one of the most outgoing, caring, vibrant women I know. And her husband, Chris, is just as awesome. Maybe it's because the two are Southern, but they are the nicest people ever. And their love story is the cutest! They had briefly dated a few years back but she was moving to LA so they broke it off. Fast forward a few years, lots of Myspace stalking on Chris's behalf, and Steph was visiting her family in Virginia last year. While in town the two rekindled their love and a within months, Chris packed up and drove to LA to be with Stephanie. Now that's love! Chris and Steph's nuptials were held in Marina Del Rey overlooking the harbor filled with sailboats at sunset at Burton W. Chase Park. The only thing more gorgeous than the setting was the bride. Literally, breathtaking. Highlights of the night: 1. seeing my friends marry, of course! 2. Their slow dance that erupted into a choreographed number to Michael Jackson's "The Way You Make Me Feel". 3. 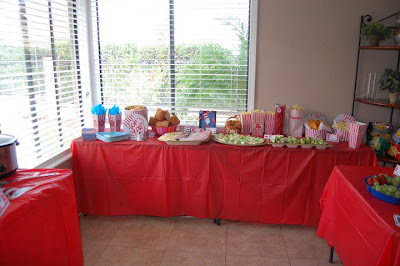 The candy bar!